Well, the time has come to get a new car. 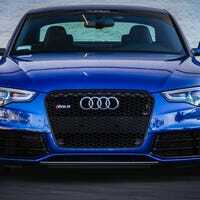 I can't get my mind off of this....B7 Audi RS4. It is amazing and it is an AWD, NA V8, beast of a car. Too bad it is out of my price range. Figured this was a very jalop-worthy car. What do you guys think? Look at that....it's just perfect (maybe besides the spoiler which I just noticed). For my first post on oppo, why not some NSFW car content to brighten up everyone's day. I love snow, obviously, and I love cars. Show me your best car pictures with snow, mountains or anything of that sort!